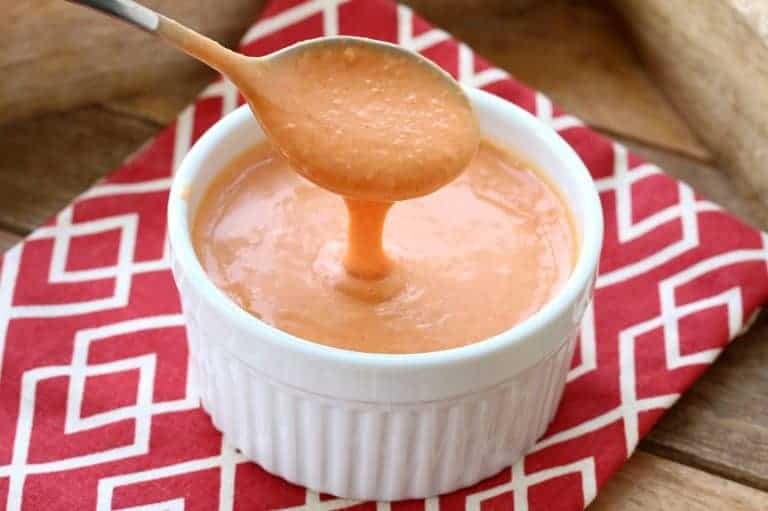 This Creamy French Dressing whips up in just 5 minutes and is SO good! It will take your salads to a new level! Homemade dressings are the best! Not only because they taste better, but because they don’t have all the junk ingredients that you find in most store-bought versions. 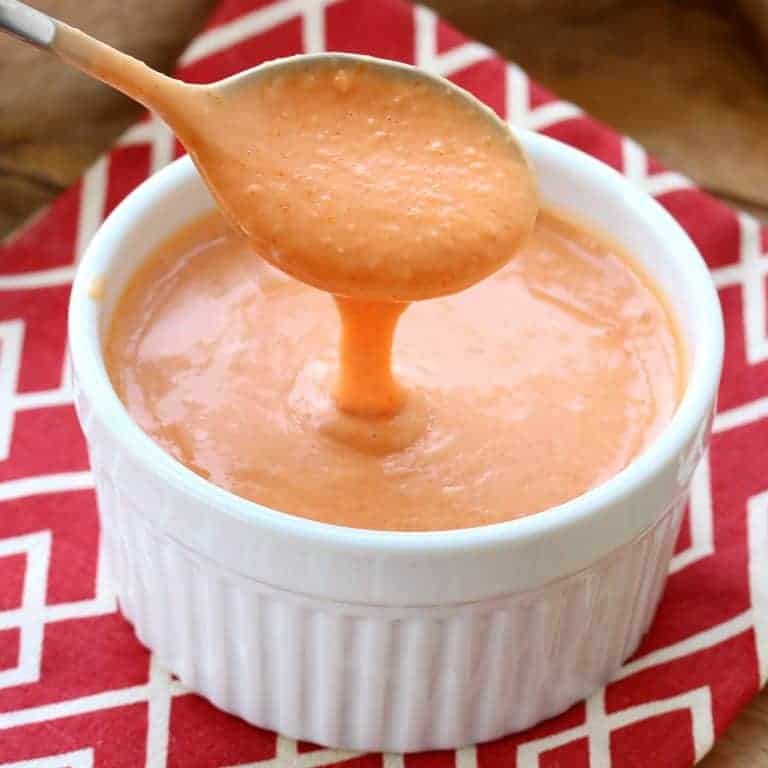 The two most popular versions of French dressing are Catalina French Dressing (which is bright red and not creamy) and what is simply called French Dressing, or Creamy French Dressing, which is pale orange and creamy. Today we’re going to make the latter version. This dressing whips up in just 5 minutes and you’ll love the flavor it brings to your salads! Place all of the ingredients in blender and puree until smooth. You’re done! Transfer it to an airtight container. It will keep for up to 2 weeks in the refrigerator. 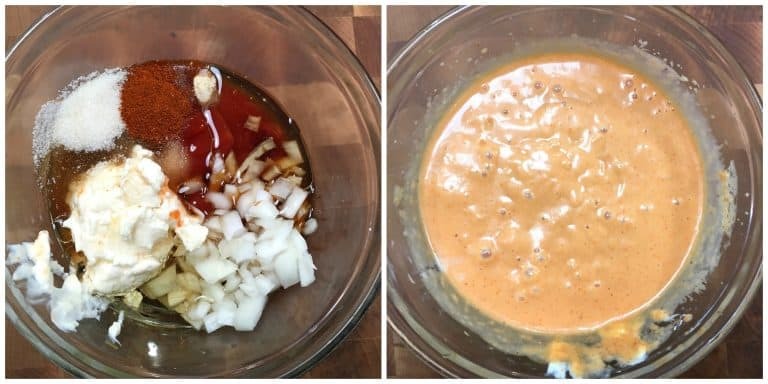 This dressing whips up in 5 minutes and will take your salads to a new level of deliciousness! Place all of the ingredients in a blender and puree until smooth. Taste and add more vinegar if you want it tangier, or more sugar if you want it sweeter. Store in an airtight container in the fridge. Will keep up to 2 weeks. Makes about 2 1/2 cups. I haven’t had French dressing in forever! Thanks for the recipe! It had been a while for me, too – thanks for visiting, Jeff! 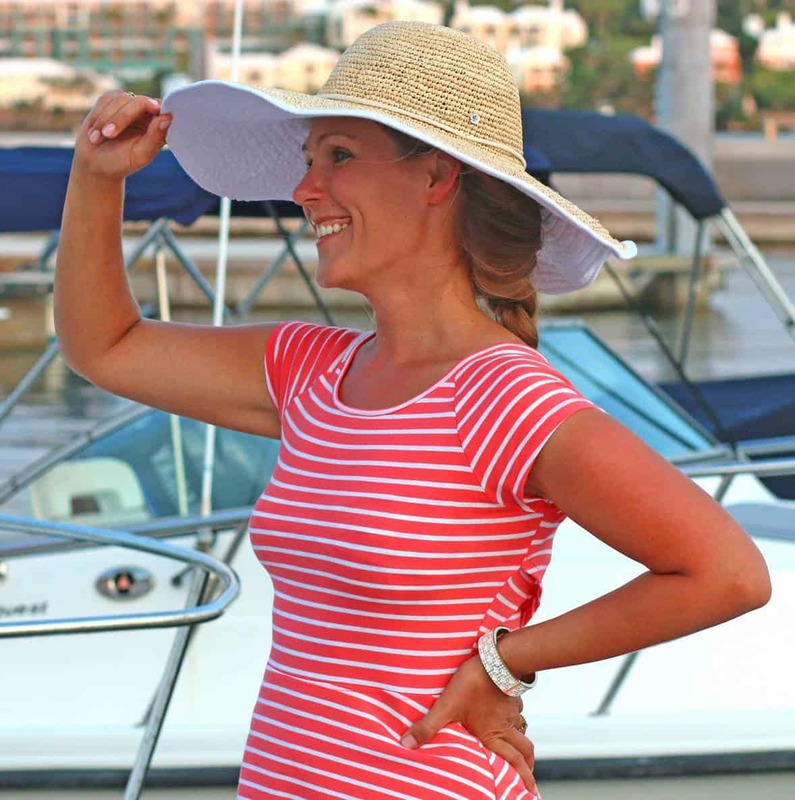 My husband LOVES French dressing so I am adding this to my must make list! Homemade dressing is the best! I need to make a big batch of this tasty looking dressing! Delicious! Such a flavorful dressing! I love homemade salad dressing. This looks so easy why would you buy it? 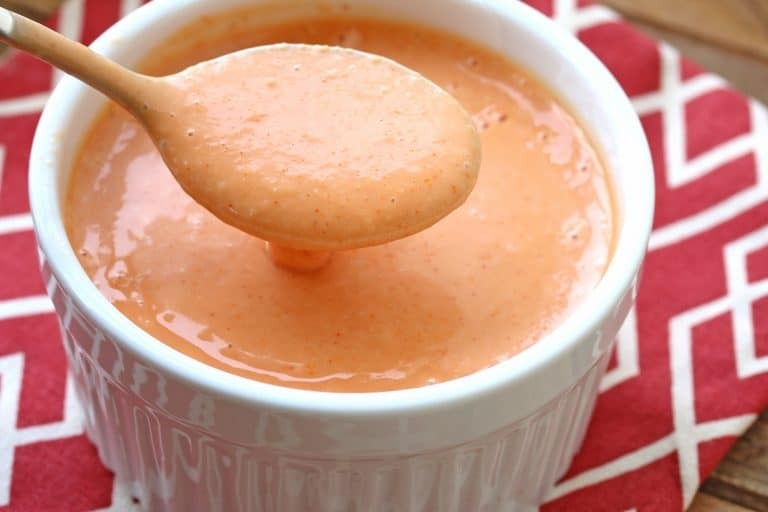 Homemade dressings have so much more flavor and I’m sure this one is no different! Looks fantastic! Wow, this recipe looks great. Very interesting combination of ingredients. I really like. THANK YOU! Looks so yummy and flavorful! YUM!!! I love this delicious version dressing!!! Just made this with Monkfruit sugar and sugar free ketchup and Mayo for KETO friendly eating. Taste is excellent! No more store bought French dressing for us. Wonderful, Dottie, I’m so glad, thank you! Made this for my garden salad and it was delicious! Thank you for sharing your recipe!